Whether you’re looking to renovate your business or your home adding glass work, like walls and windows, are functional and visibly appealing. Bring the beauty, elegance and sleek design of glass into your home or business. With our custom glass services you can design a space with your personality in mind and with a lasting impression. 1. Beautiful Modern Design Add a dramatic and elegant statement to your place. Both custom commercial and residential glass work can add a distinct modern design and feel to a space. Regardless of size, shape or location custom glass elevates any business or home and provides a look that is truly unique and memorable. 2. Cost Effective Custom glass work not only increases the value of your property but glass is extremely durable and never goes out of style. Glass is a long-term investment since it’ll never fade or tarnish like other materials. You won’t have to worry about the space looking outdated since glass will maintain its modern look for years and years. 3. Welcoming Environment Adding custom glass work to your business or home opens up a space and makes it more inviting. Glass work allows more light in a space that helps get rid of those shadowy spots while making the space more spacious and welcoming. 4. Improves Communication Installing custom glass work invites communication and teamwork. For businesses installing glass walls is a great way to promote openness which improves communication as well as productivity. 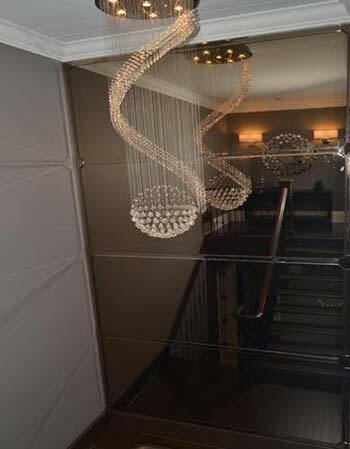 Incorporating a stylish glass feature is an easy, affordable and long-lasting way to add a touch of style to any decor. For more information or to schedule a commercial or residential consultation, contact us today at (519) 591-7203. What are the surfaces you’re cleaning most in your home? If you’re like most people, that list starts out with the kitchen counters, the shower enclosures (or shower screens) and the toilets. If a drop of water dries on each of these three, on which is the spot most noticeable? 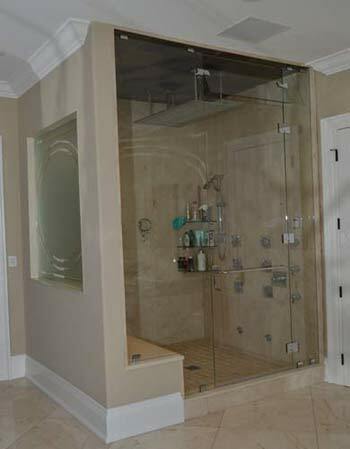 If you have clear shower doors (or shower screens) , like millions of homeowners worldwide, you know the answer is the shower door (or shower screens). There are many reasons why people are choosing glass shower enclosures over the traditional showers. If you are thinking of remodeling your bathroom this year than consider these benefits for installing a frameless glass shower. Frameless showers give an elegant modern look where you can relax and enjoy the spa atmosphere after a hard day at work. They make your bathroom look more spacious and show off your beautifully tiled shower. A glass shower can use light to get rid of shadowy areas in your bathroom making it appear more bright and welcoming. More cost effective since they last four times longer than regular showers. Little to no maintenance. Framed doors have many parts that can break and become rusted and corrosive in the warm and moist environment of a shower. Easy to clean since frameless showers don’t have any tracks, there’s no channel for mildew or mold to grow. More hygienic than the plastic shower curtains that are porous and allow germs and bacteria to live and thrive. Frameless glass showers do not have this problem. Having a custom shower means you don’t have to limit yourself to the sizes that are in stock. If you are interested in learning more about how we can help you design your own custom frameless shower than contact us today at (519) 591-7203 for an in-house consultation. Mirrors can be used in a variety of ways that add creativeness, aesthetics and even a focal point to a room. Custom mirrors are one of the most unique decorating elements that can elevate any room in your house. Installing a custom mirror for your home has a number of benefits. Makes a small space feel larger. A well-placed mirror can create the illusion of space. Since a mirror reflects the room it gives the impression that the room is larger and more open than it is. Improves lighting in a room. Mirrors reflect light, either sunlight or from man-made light sources like lamps and candles. This makes the room more visible (gets rid of those shadowy places), more spacious and gives a welcoming atmosphere to any room. Having mirrors in a room can also save you on your hydro bill since they can help light up a room during the daytime. Creates a dramatic and elegant focal point for any room. Custom mirrors are a great way to add impact to a room. Whether it’s a custom mirror, mirror wall or a backsplash mirror for your kitchen it will immediately brighten a room and create a nice focal point for that area. You can use a mirror to update the look of a room, bring design elements together or to bring interest to an area. Hides mistakes or imperfections in a room. Did a bad paint job? Need to cover that hole in the wall? Mirrors are a great way to hide those imperfections and add style to your room. Adding a custom mirror adds a timeless appeal that will never go out of fashion. At Mr. Professional we specialize in custom work that incorporates the latest product innovations and trends. In fact we take pride in doing “the work that can’t be done” by other glass companies. So if you’re interested in learning more about custom mirrors and how we can help give us a call today at (519) 591-7203. 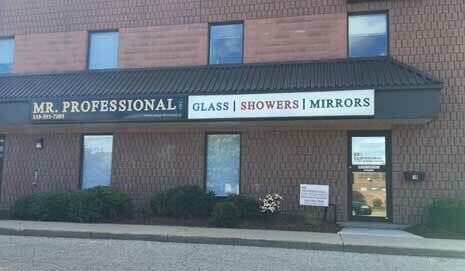 Mr. Professional Inc. holds true to its name because we have 18 years of experience in the glass business. 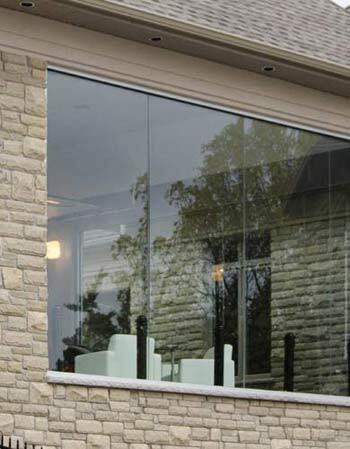 We offer a variety of services which include all glass replacements and glass installations. At Mr. Professional Inc. we pride ourselves on quality workmanship and fast, professional mobile on-site service. It is also important to emphasize that we have exceptional customer service. Our glass creations add beauty, impact and a completely unique look to your home. Enjoy something custom to your aesthetic when you choose Mr. Professional. Certifications & Associations: WSIB, insured. Need a estimate? Have a question? Please fill the form.